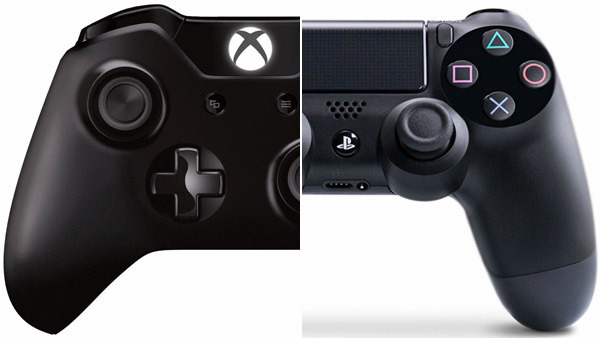 Adrian Chmielarz Says the Console-War is "Very Far From Over"
Founder of Epic Games Poland and author at The Astronauts, Adrian Chmielarz, had tweeted back before the Xbox One and the PS4 were released that the latter was the more powerful console. However, not long afterwards, Chmielarz made a clarification which made the notion that weaker hardware does not necessarily mean worse games. It should be noted that Chmielarz made this claim along with mentioning that the PS4 is in fact 50% more powerful than the Xbox One. What is particularly interesting to some gamers is how Chmielarz can be so sure that the Xbox One may very well come out on top keeping in mind that the hardware is already in the consoles themselves. It has been shown that there have been certain games which are limited by the Xbox One's hardware and result in the games being ran at lower frame rates and resolutions. Of course too, graphics do not make a game, but if the Xbox One is limited in that factor, consumers can imagine what other specs it may be limited in. However, Microsoft evidently has some hidden secret weapons so to speak. For example, Microsoft is evidently set up to reveal DirectX 12 support for the Xbox One which could enable the Xbox One to be able to save GPU time, render ray tracing, and even use superFog and other custom effects. To elaborate, the API will be used to help the GPU be used more efficiently across the console so that it can perform the aforementioned graphics tasks. With the GPU being more organized in its usage, some speculate that a greater part of its power can be allocated to improve frame-rate and resolution. Going further, there have been reports that Cloud can actually be used to improve the Xbox One's performance. Microsoft Game Studios Vice President, Phil Spencer said earlier this month, “We’ve done experiments with real-time ray-tracing. A ton of potential with this tech, amazing visuals." It goes to show, perhaps the Xbox One is not quite "down and out" as many may have begun to believe. However, if such advances and allocations can be made on Xbox One, perhaps some sort of upgrades can also be done on the PS4 to counter. Some tech-savvy individuals speculate on how much the Xbox One can improve. After all, an upgraded GPU is one thing, and allocating one's usage is something else. All said and done, the console war rages on.